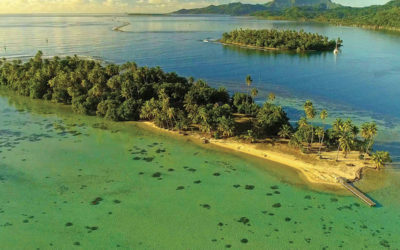 Located on the island of Tahaa, the pension Au Phil du Temps will welcome you in a little piece of heaven, surronded by a garden of tiare flowers. 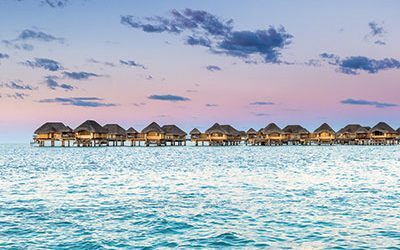 This guest house offers two typical polynesian bungalows and a suite room. You are in an ideal place for a relaxing stay. The accommodation is built and decorated with natural materials including pandanus and bamboo. Each bungalow offers a private bathroom with hot water, a ceiling fan, mosquitos screens, a flat screen TV and a small fridge. The suite room has a private terrace. 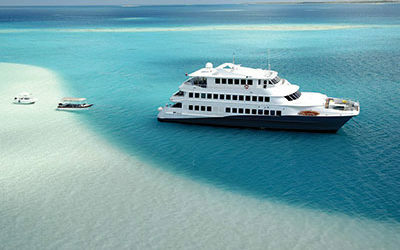 Enjoy the large deck to discover the panoramic view of Bora Bora and the stuning Polynesian sunsets. The pension Au Phil du Temps offers a restaurant with traditional food.